First Priority Fitness partners with meal prep services to help you get closer to your fitness goals! Please Check them out. FreshLe.Prep caters healthy and affordable meals not only to body building competitors and professionals, but to busy young professionals and families, as well. We pride ourselves on cooking and preparing quality foods, with the freshest ingredients. Their vision with clients, is to be their nutritional support to achieve goals, when they are unable to cook their own hearty, but healthy meals. 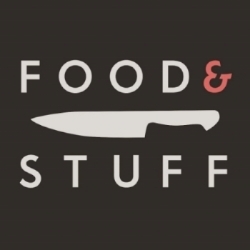 Food and Stuff provides full-service custom catering for any small or large event across the District, Maryland, and Virginia. We offer budget-friendly menu, Perfect for any wallet size. We pride ourselves in using only the freshest ingredients available and are dedicated to high-quality food preparation, presentation, and taste. We offer menus or can make a custom menu tailored to your palate and ideal for your chosen event. They Provide a Chefs touch to your weekly meal plans.